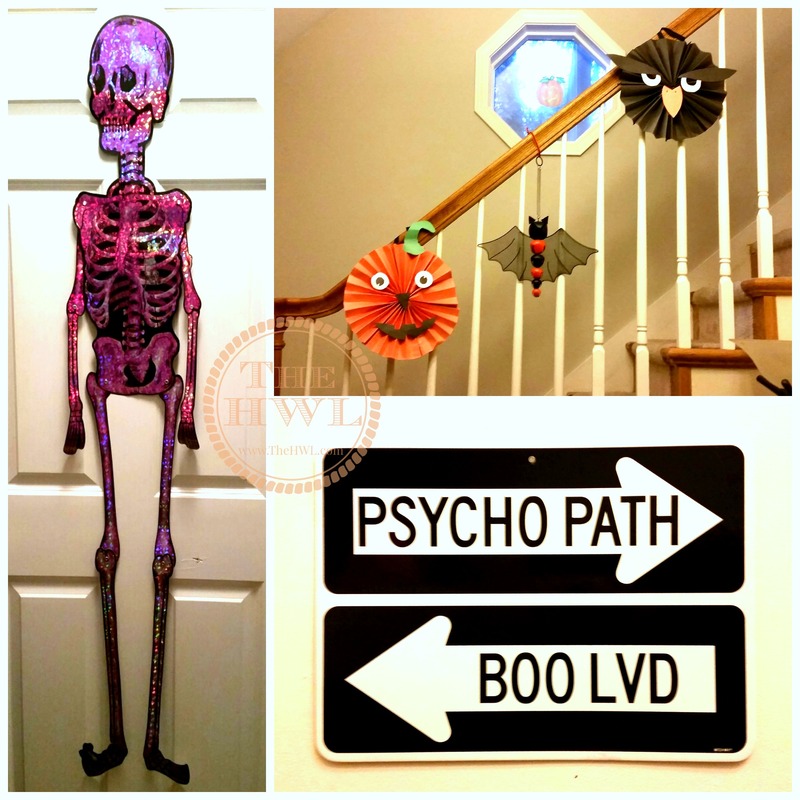 Last week I shared a fun post with you all, giving you a little glimpse of my love for decorating and some of my favorite Halloween Scenes that are currently adorning our house for the month of October. While I didn’t *quite* manage to make the house as spooktacular as I have in past years (I admit it! An entire box of decorations is still sitting in the garage, and with so much else on our plates right now, that’s probably where they’ll stay), it looks cheery, holiday-y, and inviting nevertheless. Everyone who steps in the front door comments on something – and it’s a good feeling to know that although not everyone manages (or even thinks it’s important) to find the time to decorate for themselves, it still brings them a bit of cheer to be surrounded by the holiday spirit. That fact, coupled with our marathon of scary movies, is definitely keeping us in a festive mood all month long!! While I had plenty of crafts leftover from previous years for this years’ projects, of course I couldn’t help but look on Pinterest for just a feeeew other ideas for next October. Check out some of my favorite finds below, in today’s Halloween Decoration and Printable Round-Up! And be sure to Follow The HWL on Pinterest for even more Holiday Fun this Holiday Season! 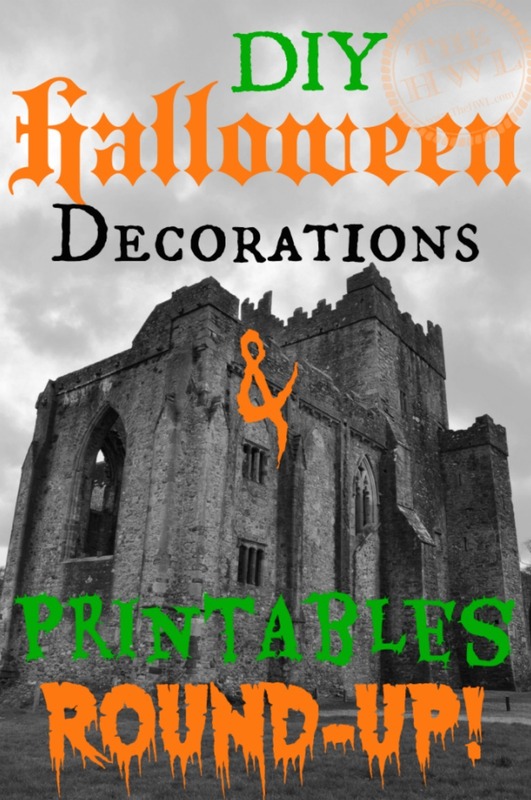 A couple of fun free printables from The Graphics Fairy below – she has some GREAT stuff! Definitely recommend checking out her site in general for any and all of your crafting needs! Great for those repurposed-bottle crafts! 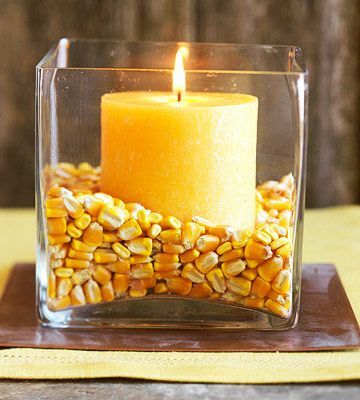 This is a super cute centerpiece idea – either with candy corn for Halloween or dried popcorn kernels for Thanksgiving – but I have NO Idea where the credit is due. If this is your image or know where I can link it to, please let me know! I did a Christmas Tree version of these yarn cones last year, and they turned out so great! This is definitely on next year’s craft list! You may have noticed this one in our living room, from last week’s post! Another one I definitely have to try out next year! Do you have a favorite Halloween-Themed craft that you’ve tried out recently? Be sure to share a photo or a link in the comments so we can all join the festivities! Aren’t they fun?? I don’t know how people come up with some of these things! Love the creativity!